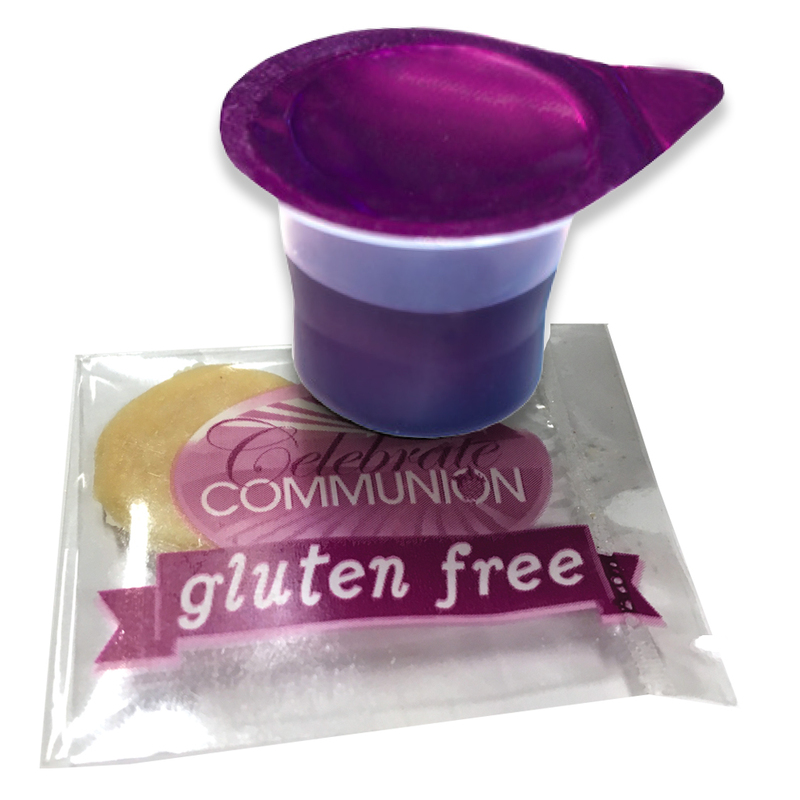 Gluten free Communion kit contains both elements: individually sealed prefilled juice cups plus individually wrapped gluten free wafers. 60 servings. *NOTE: Cups and wafers are separate. This is NOT the all-in-one packaging. 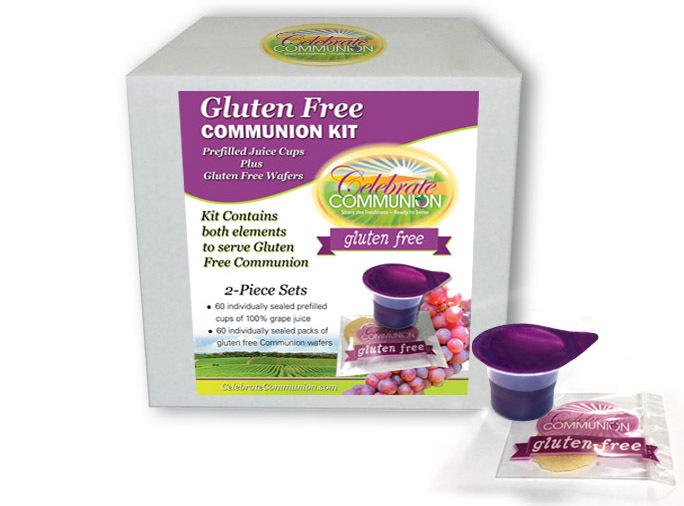 Exclusively from Celebrate Communion, this combination box contains everything you need to serve a safe gluten free Communion. 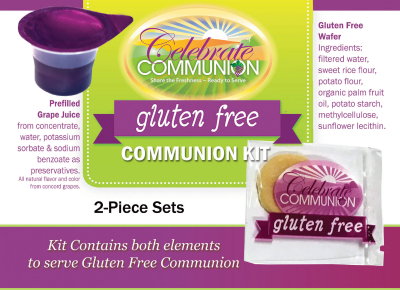 Portable travel Communion kit includes 60 "juice only" cups plus 60 individually packaged 9/10" diameter gluten free wafers. 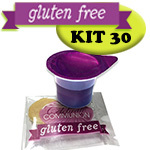 Now everyone can celebrate Communion! 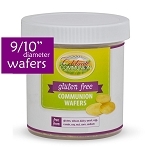 Individually wrapped gluten free wafers are made in a dedicated gluten-free bakery and packaged with a tamper-proof heat seal using positive air pressure to create a totally contaminate free unit. Individually wrapped and sealed for your protection. New packaging provides peace of mind and confidence that wafers are safe from risk of cross contact with all common food allergens. Gluten content on this wafer is 0 (zero) parts per million. 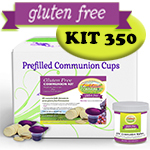 Individual prefilled Communion juice cups are easy to transport and 100% sanitary. *NOTE: Cups and wafers are separate elements. This is NOT the all-in-one packaging.